In mid-2011, a study was conducted among manufacturing executives and professionals of middle market to large manufacturers to better understand their interest in and demand for mobile device access to enterprise applications. Many of the manufacturing professionals viewed the mobile interface as an important consideration in enterprise software selection. Especially, for those who regularly work during personal time rather than to those who work primarily during business hours. Additionally, few respondents currently rate access to enterprise software from their mobile device highly and many have no access today. 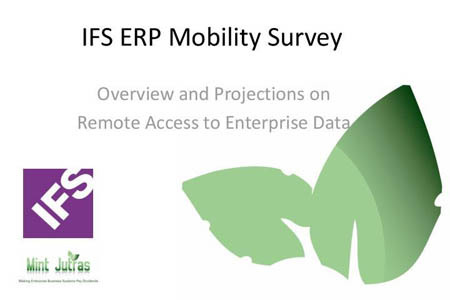 To learn more, view our industry report about ERP mobility.